In February 2014 iMAR presents its leading automotive related surveying and ADAS verification Systems on the AUTONOMOUS DRIVING - The Future of ADAS 2014 in Berlin, located at RAMADA Hotel. iMAR is Sponsor and Business Partner of this top-level event (27.-28.02.2014 in Berlin). Presented products will be iTraceRT-F400, iNAV-RQT, iTraceRT-M200, iµVRU, iTURTLE, iPACK, iREF. Web Site of the Top Event "Autonomous Driving 2014"
iMAR recently received contracts to deliver 100+ AHRS systems of type iVRU-CB-M for UAV guidance and control. The iVRU-CB-M contains MEMS based inertial sensors (gyros, accelerometers), a GPS receiver (SBAS capability, EGNOS available), a powerfull miniature processor with an embedded advanced INS/GNSS based data fusion and is fully EMI/EMC protected, designed for environmental impacts according to MIL-STD 810F. The system replaces mechanical and FOG based gyros on fixed wing as well as on helicopter UAVs / UAS and provides an economic, robust and accurate solution for autonomous guidance and control. iMAR's advanced INS/GNSS System iVRU-FQ is used as Primary Navigation and Control System on the Unmanned Aerial Systems (FALCO UAS) being operated by the United Nations in the Democratic Republik of Congo. For Details see the attached press release. iMAR is licensed to use the so-called "Driftless Technology" from TNO to improve inertial sensor accuracy especially for gyro compassing applications. 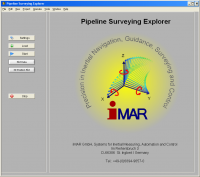 As in the last years, also in October 2014 iMAR will present its leading geodetic and automotive related surveying and navigation related range of products. Presented products will be e.g. iTraceRT-F400, iNAV-RQT, iTraceRT-M200, iVRU-FQ, iVRU-CFM, iµVRU, iTURTLE, iPACK, iREF. InterGeo 2014, October 2014 in Berlin, Germany)"
In August 2013 the engineers of Daimler AG demonstrated driving fully autonomously about 100 km non-stop embedded in the current traffic in Germany from Mannheim to Pforzheim with an S 500 INTELLIGENT DRIVE research car. They followed the historical track which had been performed by Bertha Benz exactly 125 years ago, at that time to demonstrate the reliability of the world's first car. For navigation and control the car had only been equipped with close-to-production sensors. Only as a safety backup, a high performance INS/GNSS deeply coupled navigation system of type iTraceRT from manufacturer iMAR Navigation was installed. iMAR performed a test campaign together with DLR on EC135/FHS helicopter in Brunswik / Germany to demonstrate the Flight Director for helicopter slungload pendulous motion compensation under winch operation. The automatic helicopter control is planned to be demonstrated in Q4/2013. New Demonstration & Test Vehicle at iMAR, fully equipped with inertial measurement systems, advanced driver assistance systems etc. Advanced Driver Assistance Systems (ADAS) are designed to prevent accidents caused by unskilled drivers, external events (collision with pedestrians, bicycles, motorcycle or other hard and soft targets) or due to difficult environment. 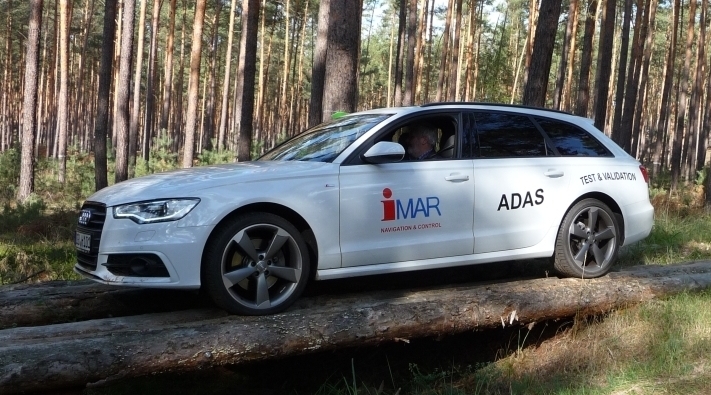 Now, iMAR has permanently available a test vehicle (Audi A6) which is equipped with the latest ADAS technology. It is used to demonstrate iMAR's products on the field of the validation and verification of Advanced Driver Assistance Systems (ADAS) and to test other navigation and control systems designed and manufactured by iMAR. We demonstrated at Automotive Testing Expo our high performance inertial measuement systems of iTraceRT-MVT, iTraceRT-F, iTraceRT-M, iTURTLE and iPack for ADAS testing. The systems convinced our national and international visitors due to the overall system design, because iMAR provides the full technology in house to design and manufacture such systems, i.e. from the gyro and GNSS technology, signal processing and communication up to the full mechanical design. Furthermore the visitors appreciate the capability of iMAR to deliver the systems, taking also customer's specific requests into account. The systems of type iTraceRT-MVT (Multi Vehicle Testing accoring to EURO NCAP AEB / Autonomous Emergency Braking) are preferred solutions according to accuracy and real-time performance at automotiive manufacturers and ADAS designers. The systems are presented in the open air area as well as on the booth. 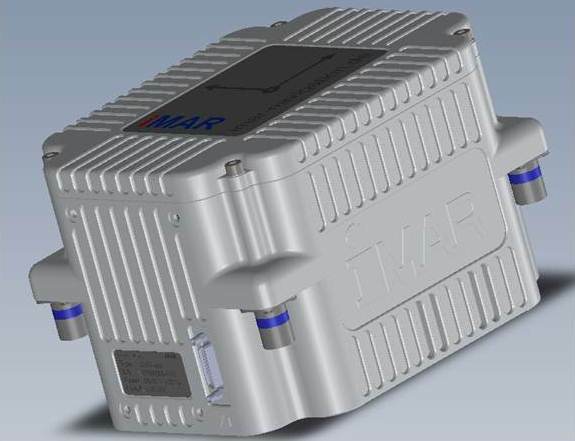 iMAR recently received a contract to deliver 100+ units iVRU-CB for straddle carrier Navigation in Harbor environment. The iVRU-CB contains MEMS based inertial sensors (gyros, accelerometers), a GPS receiver (SBAS capability, EGNOS available), odometer interface and is fully EMI/EMC protected, designed for environmental impacts according to MIL-STD 810F. The system replaces MEMS based gyro systems from third Party and provides an economic and accurate solution for land vehicle guidance and control. Advanced Driver Assistance Systems (ADAS) are designed to prevent accidents caused by unskilled drivers, external events (collision with pedestrians, bicycles, motorcycle or other hard and soft targets) or due to difficult environment. To test the interaction between an ADAS and such targets, iTURTLE is used. Providing attitude heading reference systems (AHRS), air data computers (ADC) and magnetometers (MAG) for aviation applications, iMAR also provides the entire set to equip unmanned air vehicles (UAV) or small aircraft (CS23, CS25) or helicopters with such systems. Join us in Nuremberg 14. - 16. May 2013 at SENSOR + TEST 2013, Hall 12, Stand 217 ! With the iMADC-01 iMAR provides a miniaturized air data computer for UAV and OPV (optional piloted vehicle) applications with advanced CANaerospace (ARINC825, ISO 11898) interface. It comes with an integrated EMI/EMC filtering and power conditioning as well as environmental protection according to MIL-STD-810F (incl. helicopter vibration level) . Power supply voltage is 9 - 36 V DC (< 2.5 W). Accuracy is < 0.06 % for static pressure and 0.08 % for dynamic pressure and 0.02 m resolution for pressure altitude. The iMADC-01 is available as plug&play unit for iMAR's iVRU and iNAV attitude heading and navigation systems. The iMADC-01 has been developed under partial LUFO IV funding of the German Government in co-operation with Stock Flight Systems. Join us in Stuttgart 04. - 06. June 2013 at AUTOMOTIVE TESTING EXPO 2013, Stand C2004 ! 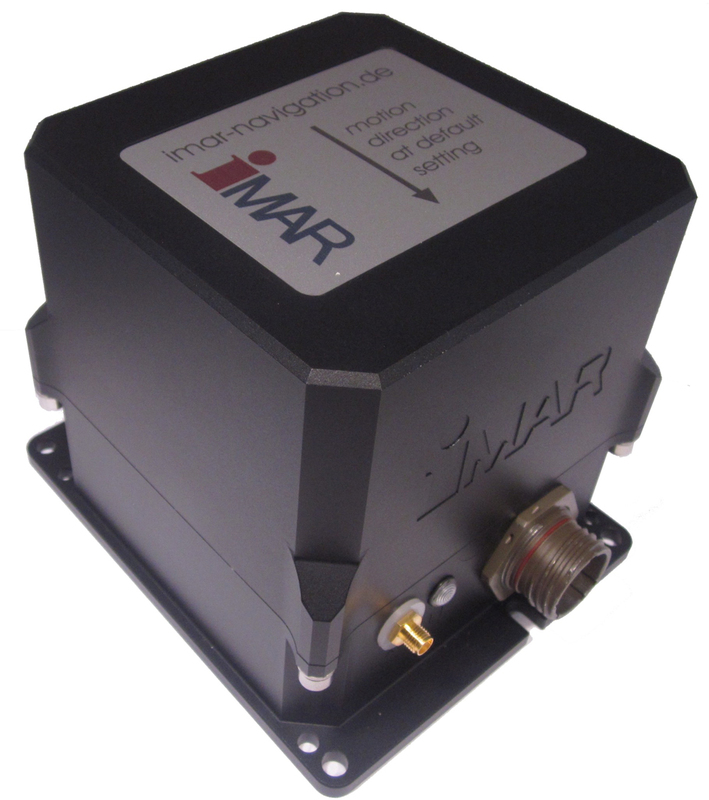 With the iMAG-DMC-LS iMAR provides a highly rugged 3D Magnetometer for UAV control, defence and general aviation applications. It comes with an integrated EMI/EMC filtering and power conditioning as well as environmental protection according to MIL-STD-810F (incl. helicopter vibration level) . Power supply voltage is factory-set selectable between 4 - 6 V DC or 9 - 36 V DC (< 1 W). Accuracy is < 0.5 deg magnetic heading (2 sigma). The predecessor of iMAG-DMC-LS, the iMAG-DMC, is gun-fire shock proofed in the naval field since 2008. With the iVRU-FSAQ iMAR provides a rugged 6D inertial AHRS system, based on FOG technology and servo accelerometers (Q Flex type and MEMS type available as factory set options). It is designed for general stabilization tasks (up to 1'200 Hz data rate) as well as for UAV and OPV control, defence, industrial and general aviation applications. It comes with an integrated EMI/EMC filtering and power conditioning as well as environmental protection according to MIL-STD-810F. Power supply voltage is factory-set selectable between 10 - 34 V DC. The integrated NoA² based AHRS algorithm provides accurate attitude also during longer loss of aiding information. As an special feature, the iVRU-FSAQ can be delivered with a software development kit (SDK) which allows the advanced user to implement his own algorithms inside the system. 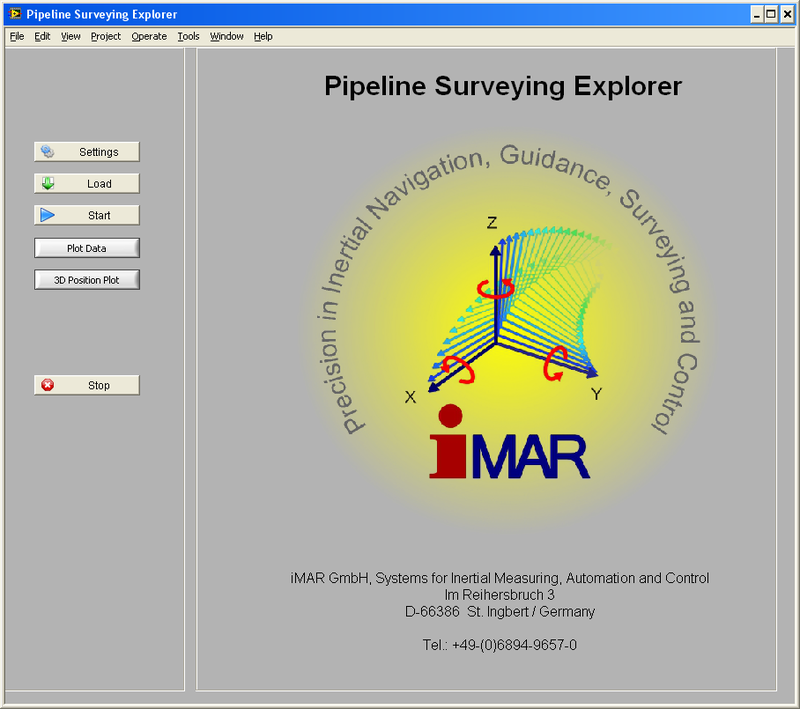 With the iPSE - iMAR Pipeline Surveying Explorer a powerful processing tool is provided to pipeline maintenance and operator companies to calculate accurate position, attitude and heading of a pig (pipeline surveying vehicle) for pipeline surveying and maintenance tasks. The iIPE uses as input information from the inertial measurement system (IMS) applied on the pig (like iPST-FMS or iPST-RQH), i.e. angular rates, acceleration and odometer information as well as external position aiding information (so-called markers). The result is a geometry file in WGS84 or ECEF containing the surveyed pipeline trajectory and pig's heading, roll, pitch, position, velocity and angular rates as well as acceleration, all time stamped in UTC84. With its iµIMU iMAR presents a low cost micro IMU for multi purpose applications, which is equipped with 3 MEMS gyroscopes, 3 MEMS accelerometers, magnetometer, barometer (altitude), odometer interface and integrated GPS engine. iµIMU supports a plug&play integration into the user application via USB, RS232, RS422 or CAN bus. Signals for synchronization like SYNC_IN and SYNC_OUT are available. iMAR's iµIMU comes with an robust power supply input stage, supply voltage is 7...34 V DC at a power consumption of less than 2 W. The weight is only 50 grams. iµIMU hardware, without calibration and without application software; the system is used by those users who want to implement their own software and calibration on the integrated ARM7 core. As an option iMAR's proprietary NoA² algorithm is available. The NoA² algorithm provides reliable attitude information also on larger aircrafts and railway vehicles if no aiding (no GPS, no baro speed, no magnetomreter) is available even over longer time. iMAR demonstrates the probably most advanced test method for car safety to the international press. The system supports the motion analysis of several vehicles (EGO and ALTER) to verify and optimize advanced driver assistance systems (ADAS). It contains of one set of iTraceRT-F400, wireless data transmssion between the vehicles and GUI for easy operation. Each driver in each vehicle has access to all data of all vehicles in real-time and all relevant motion and dynamics information is displayed and monitored (e.g. distance and relative velocity between the vehicles, attitude, heading, acceleration and angular rates as well as position with centimeter accuracy). The system is operable on test areas as well as in real world conditions on highways and urban or rural areas.